Join the Cape Breton Partnership and other partners at the Innovation Cèilidh to celebrate Nova Scotia’s entrepreneurial spirit and demonstrate the power of collaboration. 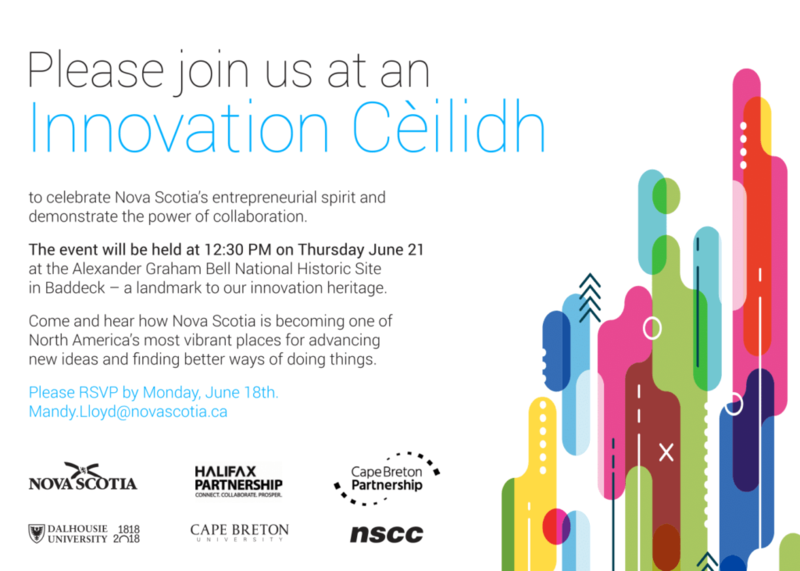 The Innovation Cèilidh will be held on Thursday, June 21 at 12:30 PM at the Alexander Graham Bell National Historic Site in Baddeck – a landmark to our innovation heritage. To attend, RVSP to Mandy Lloyd by June 18: mandy.lloyd@novascotia.ca. Please feel free to share this invitation with others in your organization or network who may be interested.